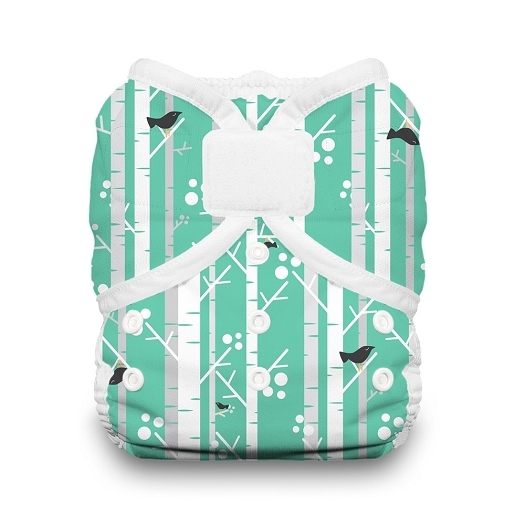 Home > Cloth Diapers > Covers > Thirsties Duo Wrap | New Aplix! 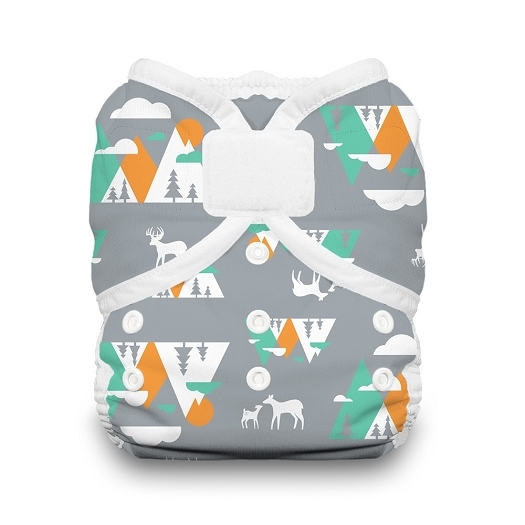 Thirsties Duo Wrap | New Aplix! Prefer Snap closures? Click HERE! 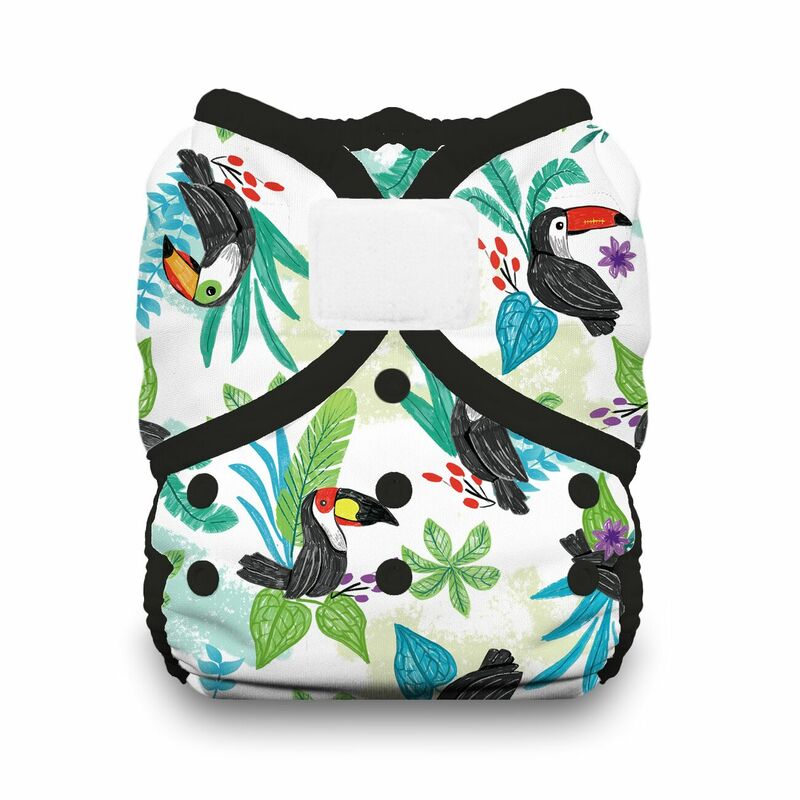 Similar in feel to their best-selling Diaper Cover, Thirsties Duo Wraps are completely waterproof yet remain breathable, pliable, and very comfortable for your babys delicate skin. 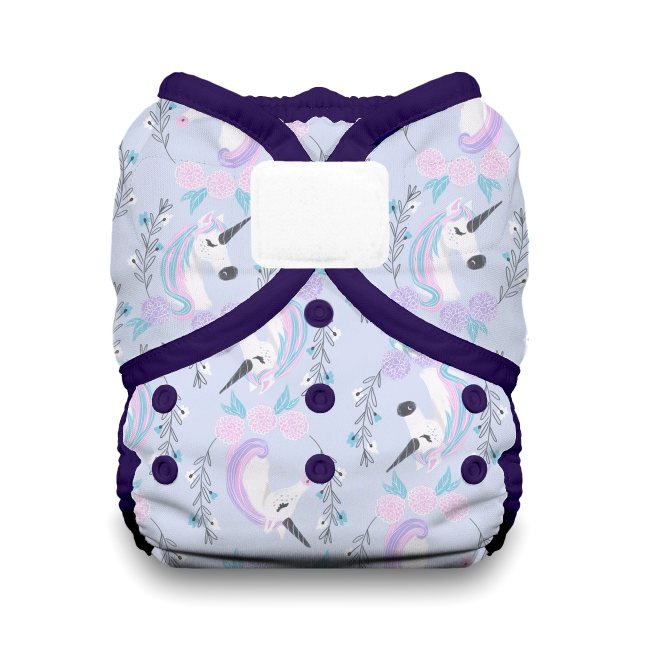 Durable hook and loop closures provide a perfect and secure fit at every diaper change. 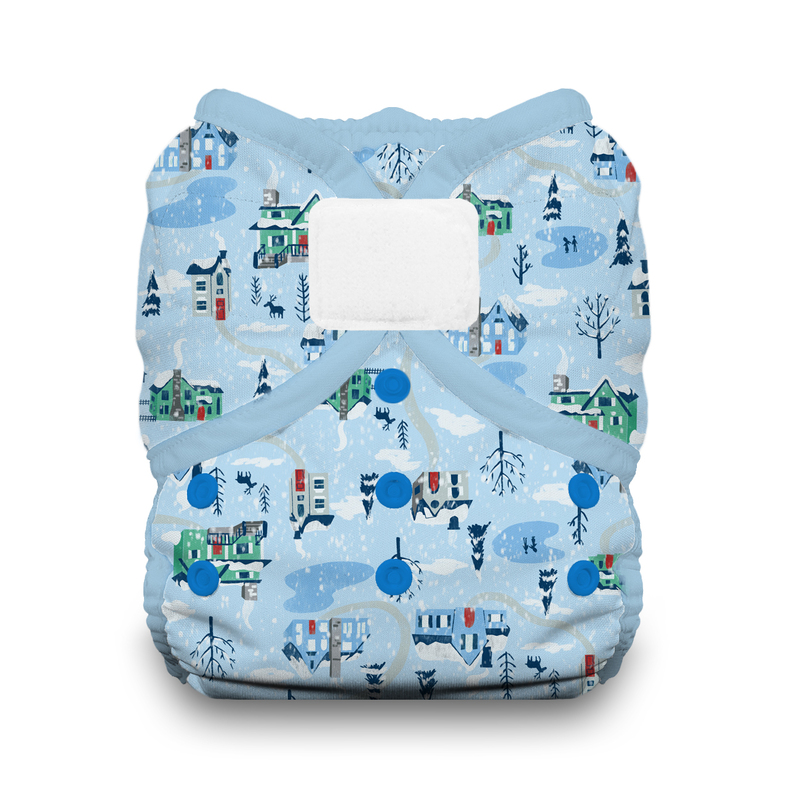 Leg gussets provide advanced leak-proof protection and bindings are super-soft against baby skin. 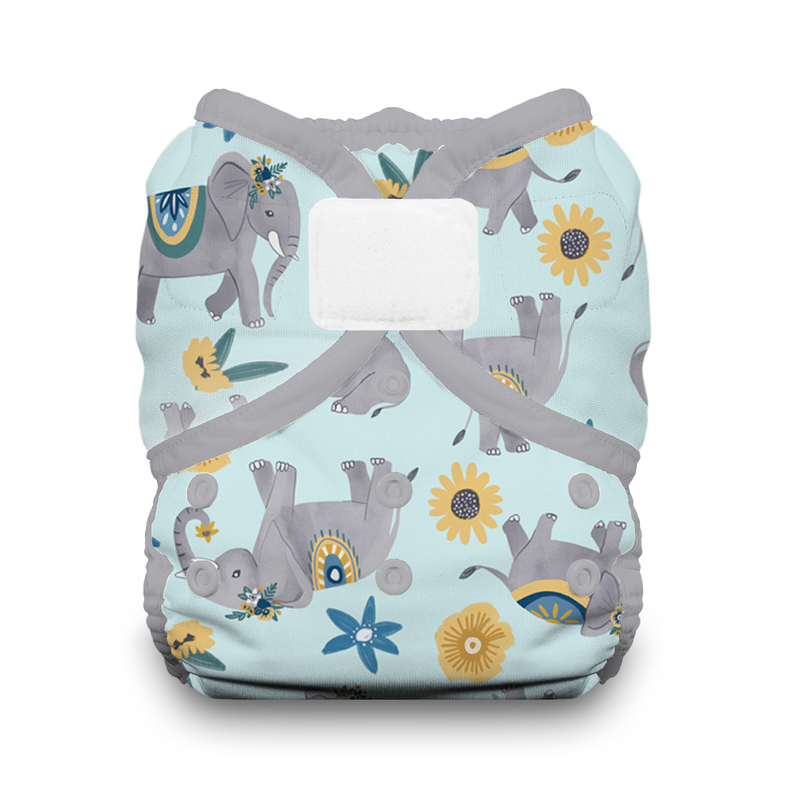 All sizes offer convenient fold-over laundry tabs to protect your hook and loop closures from trapping lint in the wash.
"Thirsties Duo Wraps are a result of more than six months of development and testing. 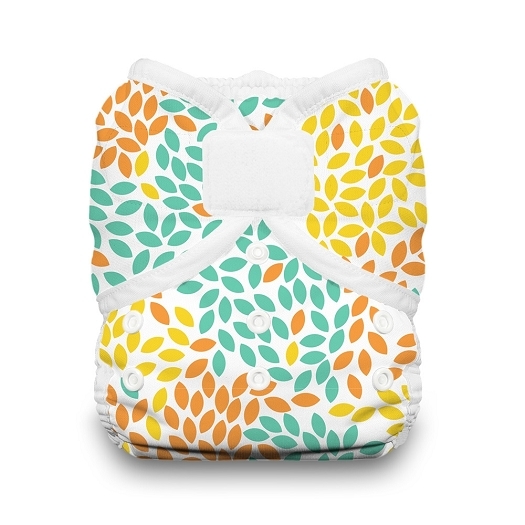 This affordable wrap actually hatched as a one-size diaper cover. 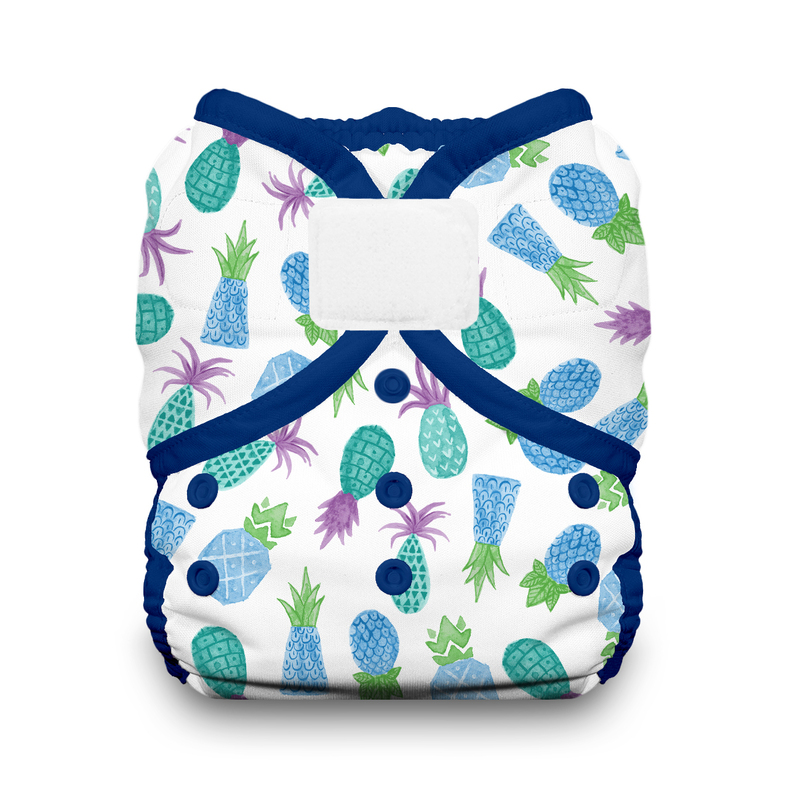 Logically, we thought a one-size diaper cover would be the most affordable option for the end-consumer. 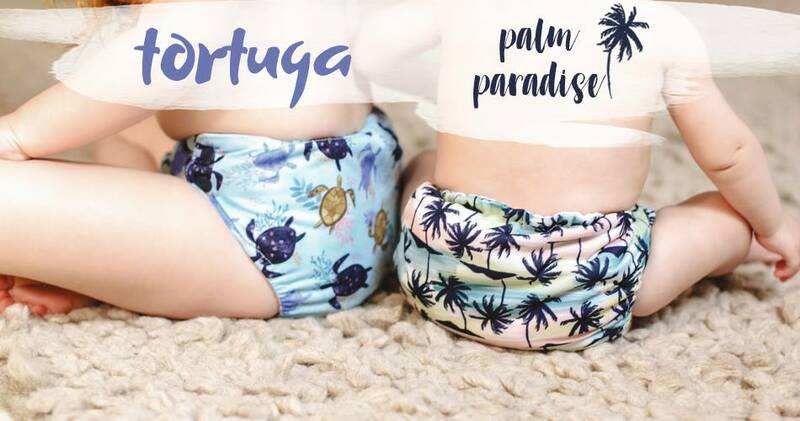 But what we actually discovered, no matter how many different cuts and protoypes we made, is that the 'one-size' options are too big on the average newborn and too small for most toddlers over 24 months of age. 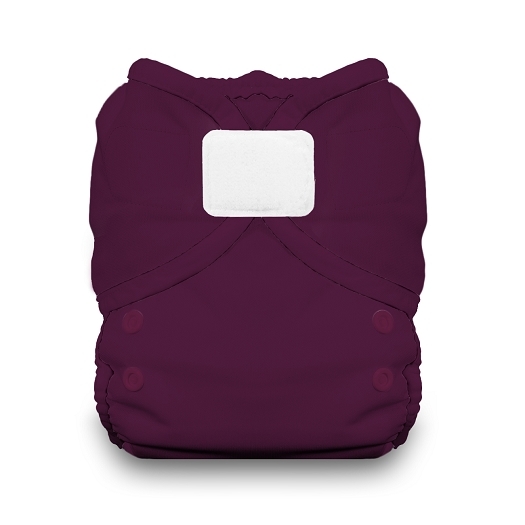 What this means is that the 'one-size' option truly only fits your baby properly when your he weighs between 10 lbs to 32 lbs. 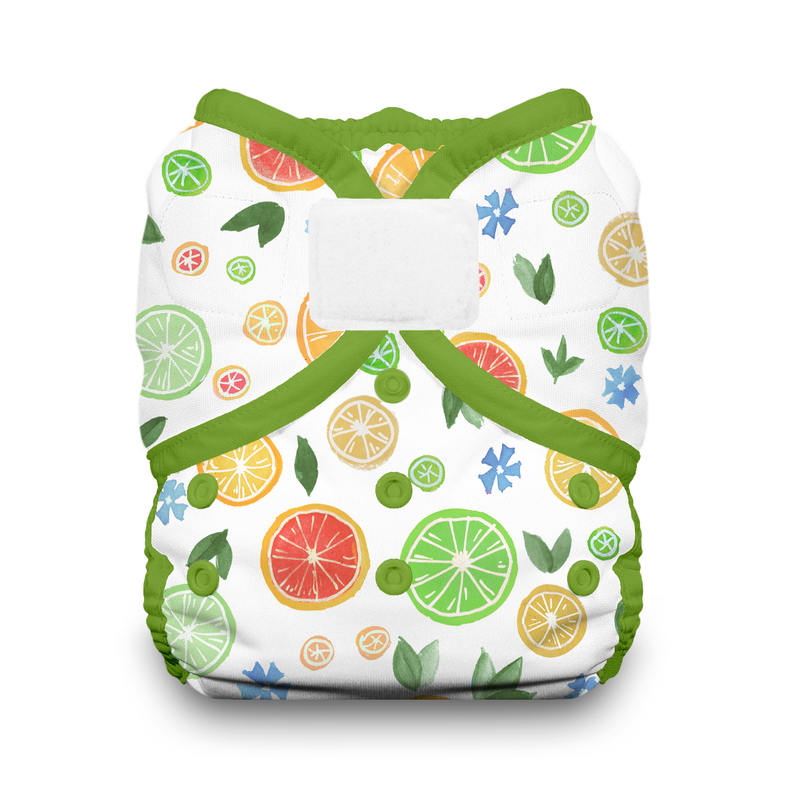 Alas, our findings confirm that the label 'one-size' diaper/cover simply does not live up to its claim. 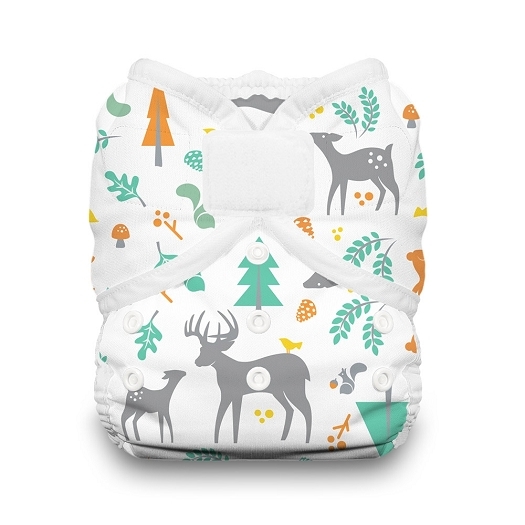 Most families purchasing a 'one size' cover would actually end up purchasing a newborn size, a 'one-size', and a toddler size: THREE sizes from birth to potty! Not ONE. Therefore, in the end, Thirsties Duo Wraps are truly looking out for your wallet." 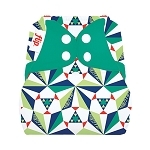 Thirsties Duo Wraps are a very trim fitting cover. 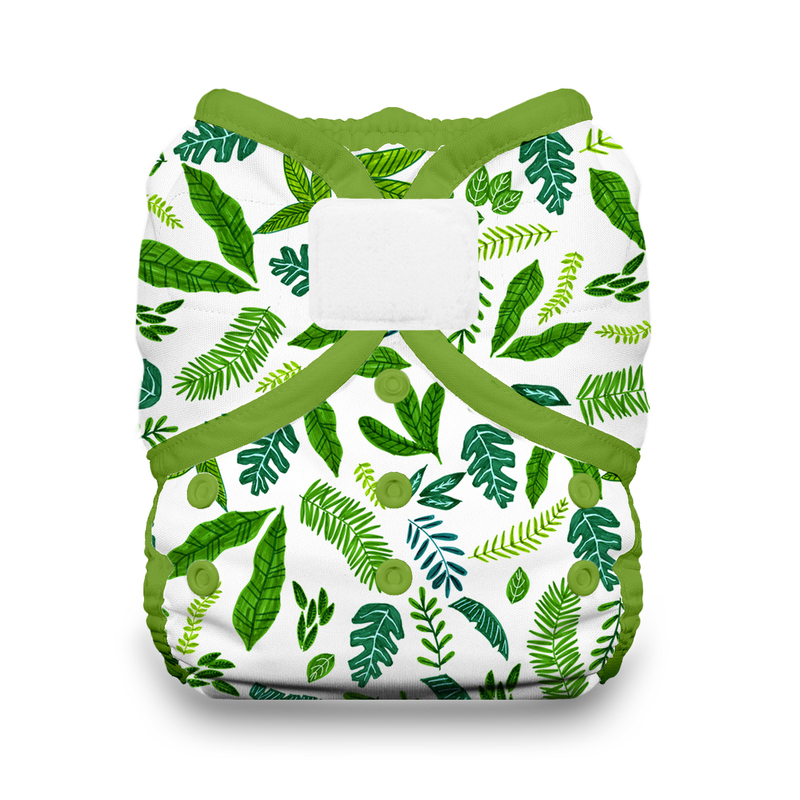 They are the preferred wrap for trifolded prefold diapers and over trim fitted diapers. 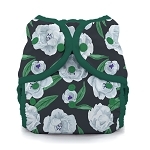 For bulkier systems and/or for nighttime double stuffing, we recommend the original Thirsties cover, which has a roomier fit. These are my favorite cover for my skinny baby boy. They fit him great. He is 9lbs right now but have fit for a few weeks. The double gussets are my favorite feature because they contain all messes. 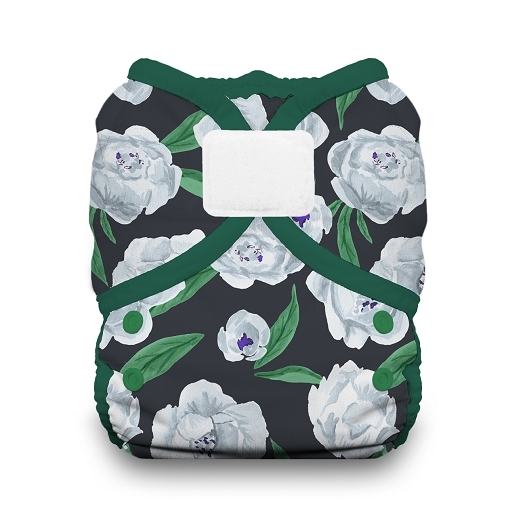 I like that they are lightweight and don't seem to make my son too warm compared to some other covers that are thicker. They are easy to use and affordable. 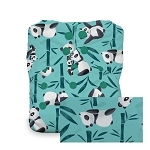 When I need more covers these will be the ones I purchase! 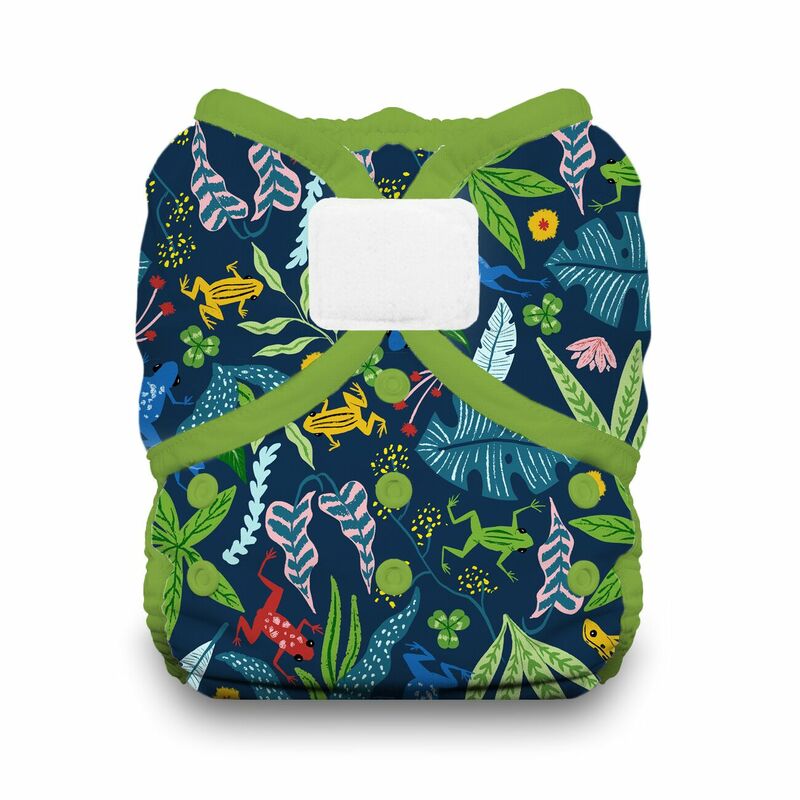 I purchased two of these, and they have quickly become my favorite for overnight diapering (along with a prefold and a stay-dry insert). 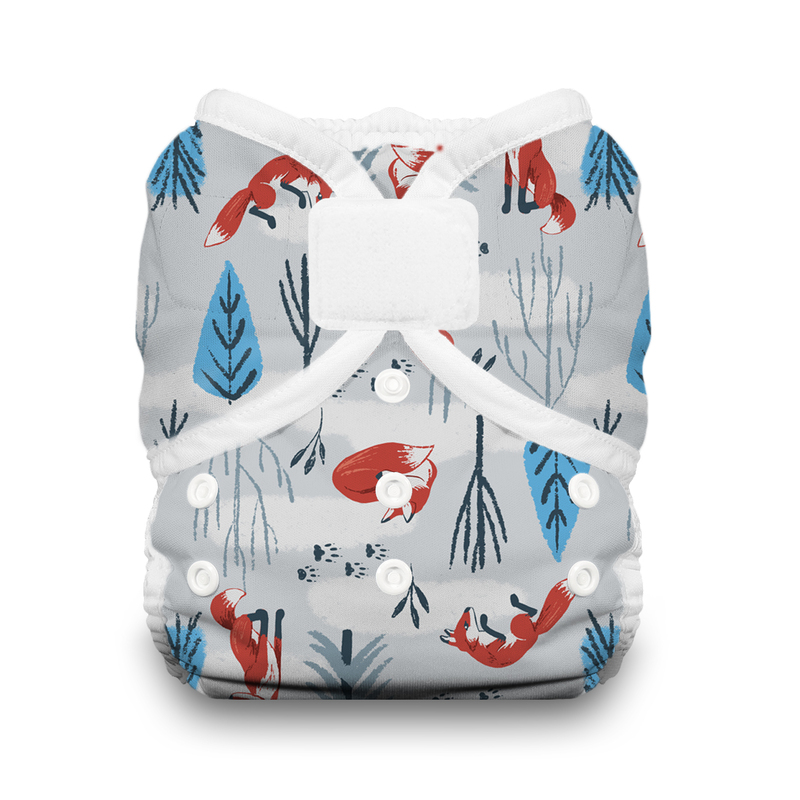 The gussets hold in a LOT of pee, and the velcro is great for a quick and easy in-the-dark middle-of-the-night change. I really like Thirsties for the leg gussets... 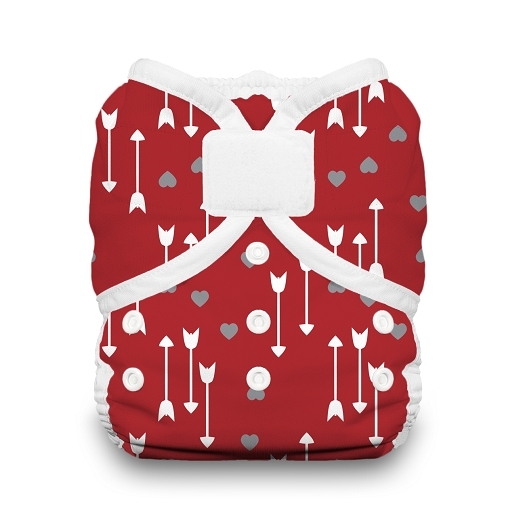 I use them with prefolds, and it is great to be able to pull those gussets around the diaper and know that that wet diaper won't be escaping! 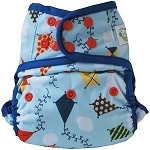 The covers are soft and lightweight - overall a very nice cover.